This is Kyler: a rough, gruff, homeless girl who never needed anyone. This is Josh, the boy she met on the street, the one who put a skateboard in her hand and offered her more freedom than she&#x2019;d ever knew existed. And this is Ryan: the small-time drug dealer/surfer kid who builds his life around these other two. 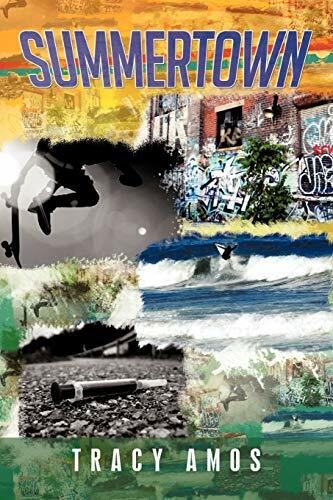 Together, the three of them learn to trust and hold each other in a strong family bond that acts as a barrier against the harsh realities of homelessness, drug addiction, and the knife-edged cruelties they face on a daily basis. They endure love and loss and crushing, depthless heartache over a span of eight years, but they each learn to find inner strength they never knew they had that carries them through. Born and raised in Louisville, KY, I&#x2019;ve always enjoyed skateboarding and tried to bring that to life in this book. I also love the ocean and the eclectic atmosphere that surrounds southern California lifestyle. This is the first book of this series, and I tried to make it as real on these pages as I felt it in my heart.